finishing on Saturday 9th June 2018. Three fantastic money can't buy prizes - only with our auction you actually can! For your protection and ours, please read the terms and conditions at the bottom of this page carefully. If you bid you are agreeing to these and your bid will be legally binding. Online bidding via the website will close at 6pm Saturday 9th June. bid in person during the evening. The winning bidder (highest) for each item will be contacted w/c Monday 11th June by Philip’s Footprints, at which point payment for your item will be required and collection of your item arranged. All bids are private however if you wish to ‘go public’ about your win and support for Philip’s Footprints we would be delighted to share a photo of you! NOTE: To undertake this tour you need to be fit and well as you will need to climb over rocks. For safety reasons this is for over 12’s only. Tide dependent unless you want to swim! 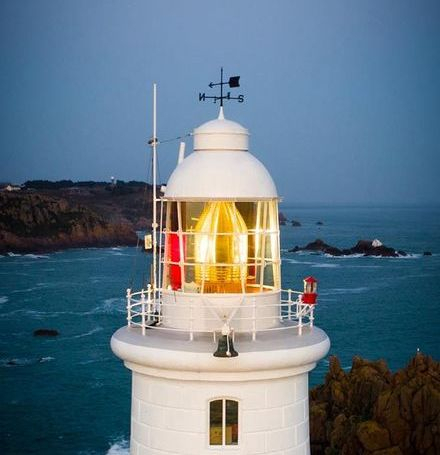 Meet the Ports of Jersey Harbourmaster and Master Mariner, Captain Bill Sadler, at the bottom of the causeway and he will drive you across to the iconic Corbiere Lighthouse. Climb to the top of the Gallery for those incredible views - in Bill’s own words, despite regular visits “every time it still takes my breath away”. Bill has experience of many lighthouses during his long years working at “Trinity House”, who maintain over 60 lighthouses around England, Wales, the Channel Islands and Gibraltar. He believes Corbiere Lighthouse to be a very special lighthouse due to its completely unaltered state - original brass work is still all in place and lovingly polished! Once outside the lighthouse there are various bunkers and the air compression room for the fog horn to view. 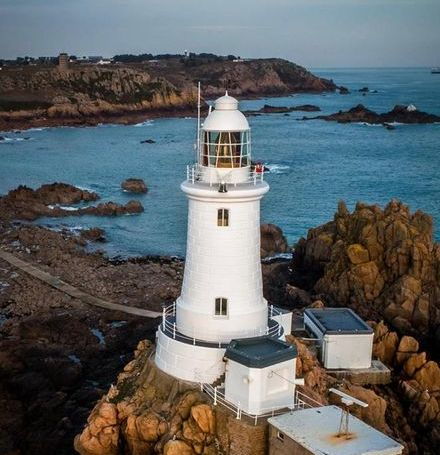 See for yourself how special Corbiere Lighthouse and those amazing views are with this exclusive Harbourmaster’s guided tour, duration approx. 1 hour. A fantastic opportunity for a family (4 - 6 people)! 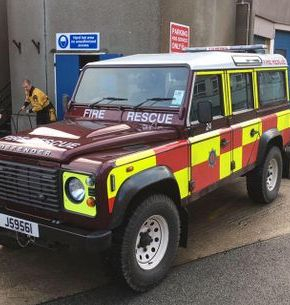 This 3 hour tour covers everything possible that a fire and rescue fan of any age could want! A complete tour of the Fire Station and the chance to meet our heroic Firefighters! 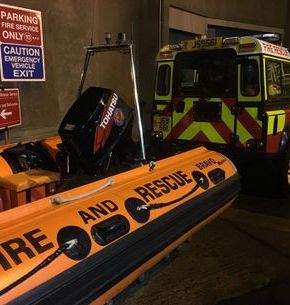 Tour the vehicles and equipment including Fire Engines, Special Rescue Units, Inshore Rescue Boats and 4 x 4’s, with the opportunity we would all love - to squirt water from a Fire Engine! 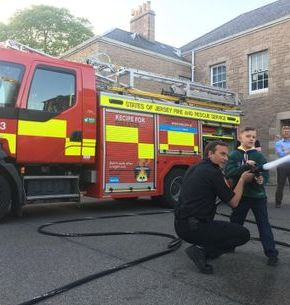 Don’t miss the photo opportunity dressed in firefighting uniforms and make the most of that expert knowledge with a Family Fire Escape Plan Session including how to travel through smoke. 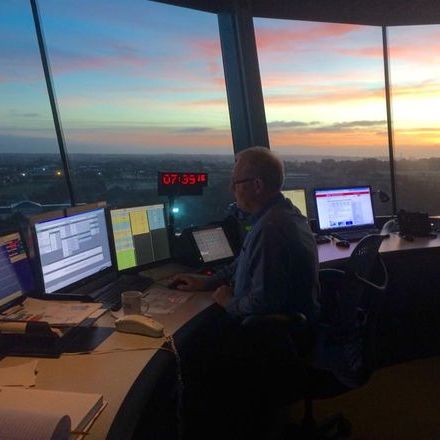 An exclusive opportunity to view the inside of another iconic Ports of jersey building - Air Traffic Control. 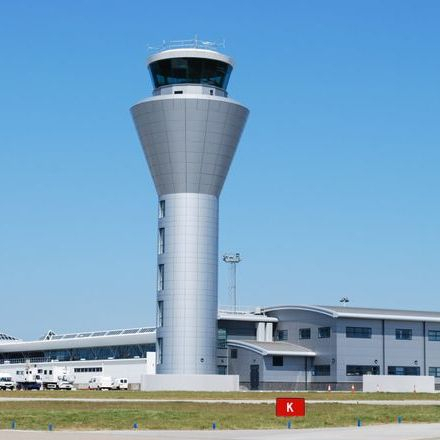 See behind the scenes of our busy airport and view the airport from a very unique perspective! 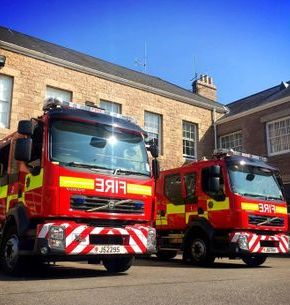 Visit will be scheduled around operational events. All lots sold as seen. Bidders must be over the age of 18. ID will be required before winning bid is confirmed if there is any doubt. By bidding in Philip’s Footprints auctions, each bidder agrees to these auction rules. When equal highest bids are received, the first received bid shall be the winning bid. The bidder can withdraw their bid by email (support@philipsfootprints.org) no later than 12:00 Saturday 9th June, after which your bid will be taken as your approval to pay for the item, should you in fact be the highest bidder. All sales are final. There will be no exchanges or refunds unless otherwise noted. All lots are “as is.” Philip’s Footprints has attempted to describe and catalogue items correctly, but neither warrants nor represents and in no event shall be responsible for the correctness of descriptions, genuineness, authorship, provenance or condition of the lots. No statement made in this catalogue, or made orally at the auction or elsewhere, shall be deemed such a warranty, representation, or assumption of liability. Payment for lots purchased must be made in full upon confirmation of winning bid by bank transfer, cheque or cash payment. Details will be provided by the charity upon confirmation. Payments must be received within 5 working days of Philip's Footprints confirming your winning bid. Following payments, we will confirm how you can collect your lot. Lots can be delivered by arrangement. Any lot left unclaimed for 30 days from auction end, without prior arrangements, will be sold and proceeds will go to Philip’s Footprints. Philip’s Footprints reserves the right to add or withdraw lots, without notice, to or from the auction. Each person bidding assumes all risks and hazards related to the auction and items obtained at the auction. Each bidder agrees to hold harmless from any liability arising indirectly from Philip’s Footprints, their elected and appointed officials, members and employees, the auctioneer(s), the auction company and its agents and employees, the event organisers, sponsors, and/or volunteers connected with the auction. All decisions by the Auction Chair are final. Any lots which are not bid for will be used by Philip’s Footprints for future fundraising events.